Very light saddle from Selle Italia. Weight savings come from use of carbon fibre shell tubular titanium rails and minimalistic design. 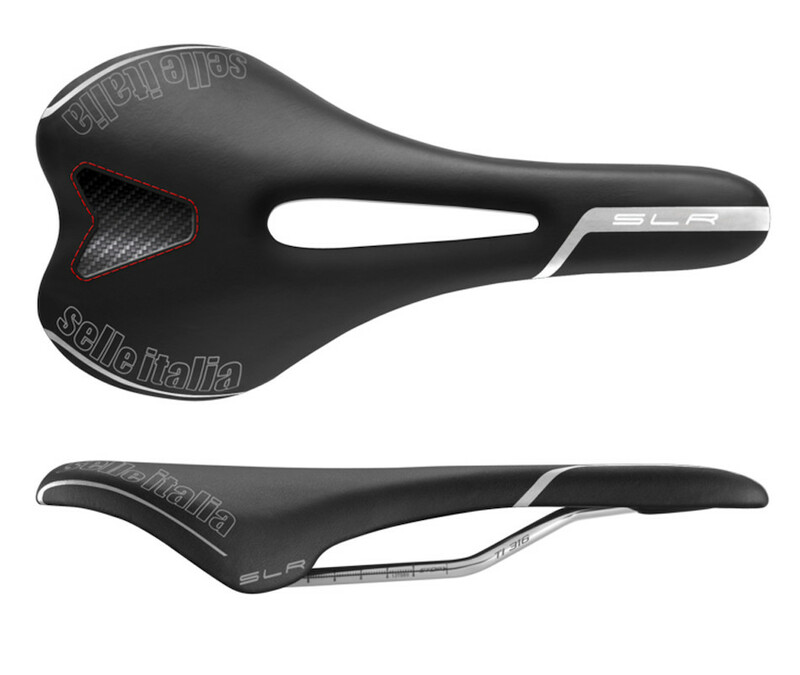 In terms of comfort and weight, nothing beats an SLR 220g saddle. Many people ask: how is a saddle like that comfortable? Well, there are two ways to make a comfortable saddle. 1) with a lot of padding and 2) with great flex. The original leather saddles (ie Brooks) relied on flex to be comfortable, and these are revered as the most comfortable saddles on the market. The SLR also relies on flex to be comfortable - the carbon fiber base and Ti rails offer fantastic flex that delivers real comfort.